Canal Digital Nordic: TV4 Guld is back on 11247.00MHz, pol.V SR:24500 FEC:7/8 SID:7047 after a break ( PID:1347[MPEG-4]/3547 Sweden - Conax). Canal Digital Nordic: A new channel has started in DVB-S Conax: TV4 Guld (Sweden) on 11247.00MHz, pol.V SR:24500 FEC:7/8 SID:7047 PID:1347[MPEG-4]/3547 Sweden. Viasat: A new channel has started in DVB-S VideoGuard: TV4 Guld (Sweden) on 11881.00MHz, pol.H SR:27500 FEC:5/6 SID:5080 PID:5081[MPEG-4]/5082. Viasat: New frequency for TV4 Guld: 11862.00MHz, pol.V (DVB-S SR:27500 FEC:3/4 SID:3460 PID:3461/3462 Sweden- VideoGuard). Canal Digital Nordic: A new channel has started in DVB-S Conax: TV4 Guld (Sweden) on 11247.00MHz, pol.V SR:24500 FEC:7/8 SID:7111 PID:1143/3138 Sweden. Canal Digital Nordic: New frequency for TV4 Guld: 10809.00MHz, pol.V (DVB-S SR:24500 FEC:7/8 SID:7165 PID:1143/3138 Sweden- Conax). Canal Digital Nordic: TV4 Guld is now encrypted in Conax (11341.00MHz, pol.V SR:24500 FEC:7/8 SID:2113 PID:1143/3138 Sweden). Canal Digital Nordic: TV4 Guld (Sweden) is now transmitted Free To Air (11341.00MHz, pol.V SR:24500 FEC:7/8 SID:2113 PID:1143/3138 Sweden). Viasat: TV4 Guld is now encrypted in VideoGuard (11881.00MHz, pol.H SR:27500 FEC:3/4 SID:5060 PID:5061/5062 Sweden). 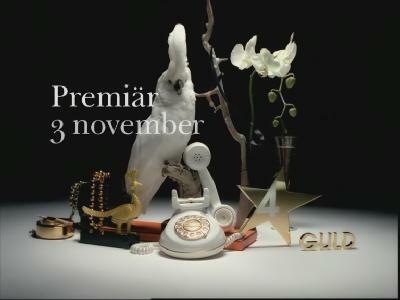 Viasat: TV4 Guld (Sweden) is now transmitted Free To Air (11881.00MHz, pol.H SR:27500 FEC:3/4 SID:5060 PID:5061/5062 Sweden). Viasat: New frequency for TV4 Guld: 11881.00MHz, pol.H (DVB-S SR:27500 FEC:3/4 SID:5060 PID:5061/5062 Sweden- VideoGuard). Viasat: New frequency for TV4 Guld: 11727.48MHz, pol.H (DVB-S SR:27500 FEC:5/6 SID:1850 PID:1851/1852 Sweden- VideoGuard). Canal Digital Nordic: New frequency for TV4 Guld: 11341.00MHz, pol.V (DVB-S SR:24500 FEC:7/8 SID:2113 PID:514/648 Sweden- Conax). Canal Digital Nordic: TV4 Guld is now encrypted in Conax (12476.00MHz, pol.H SR:27800 FEC:3/4 SID:2113 PID:514/648 Sweden). Canal Digital Nordic: TV4 Guld (Sweden) is now transmitted Free To Air (12476.00MHz, pol.H SR:27800 FEC:3/4 SID:2113 PID:514/648 Sweden). Canal Digital Nordic: A new channel has started in DVB-S Conax: TV4 Guld (Sweden) on 12476.00MHz, pol.H SR:27800 FEC:3/4 SID:2113 PID:514/648 Sweden. Canal Digital Nordic: TV4 Guld is now encrypted in Conax (12476.00MHz, pol.H SR:27800 FEC:3/4 SID:2113 PID:514/648 Sweden). From November 3rd. Canal Digital Nordic: TV4 Guld is testing in DVB-S Clear on 12476.00MHz, pol.H SR:27800 FEC:3/4 SID:2113 PID:514/648 Sweden.